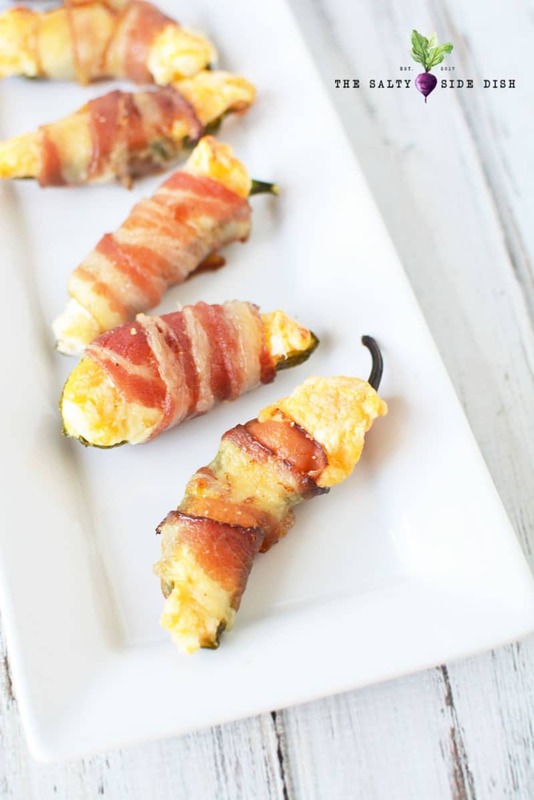 Bacon Wrapped Stuffed Jalapenos with cream cheese, cheddar and crispy bacon is the appetizer everyone is going back for. Serve with Red Sangria for the perfect adult evening and enjoy the sweet heat! Admittedly I don’t love all things spicy. I like my salsa spicy and a bit of Cajun on my pasta, but when it comes to most recipes, that’s about it. 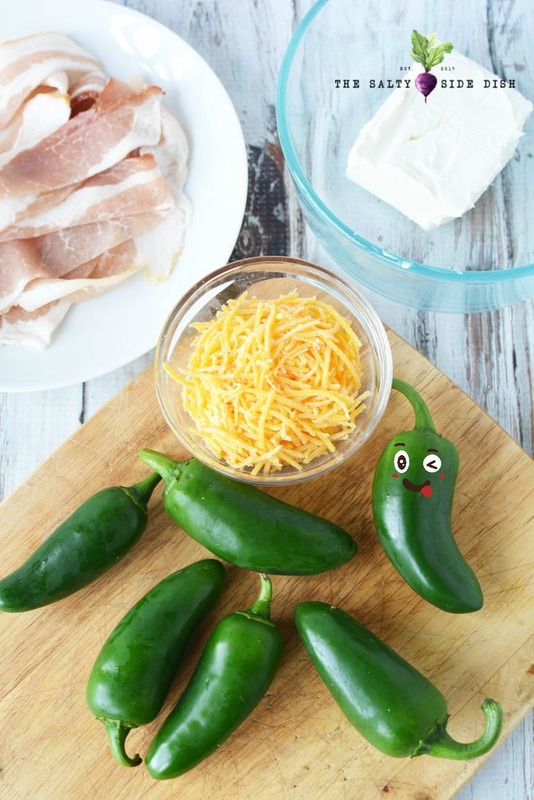 Until these stuffed jalapenos that is. Smothered and stuffed with creamy cream cheese and melty cheddar, the ooey gooey just makes these appetizers disappear off the plate one by one. And if you do like a little kick, optional Cajun spices will be just the thing to light your tongue on fire. If I could give any tip, it would be to be careful handling your peppers. 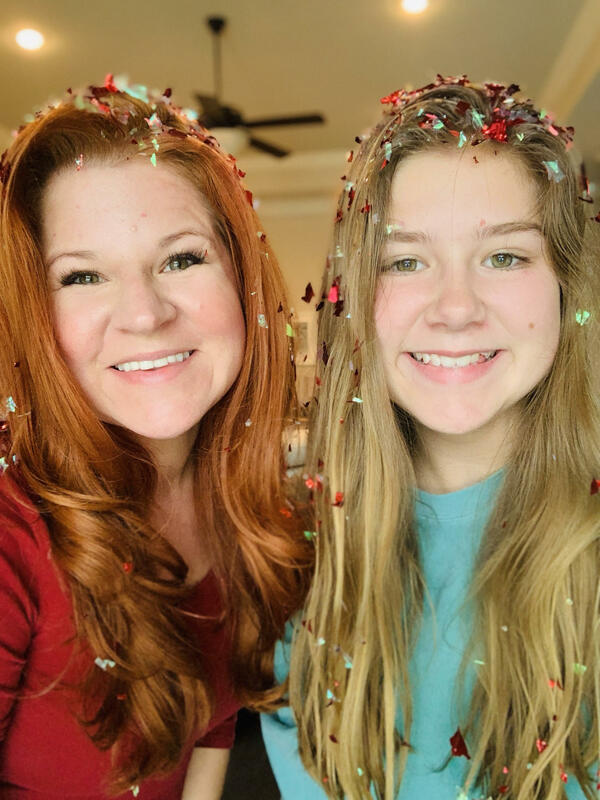 Normally I love kids to help in the kitchen but since spice can make so many eyes and skin sensitive, this one is for an experienced in the kitchen cook. 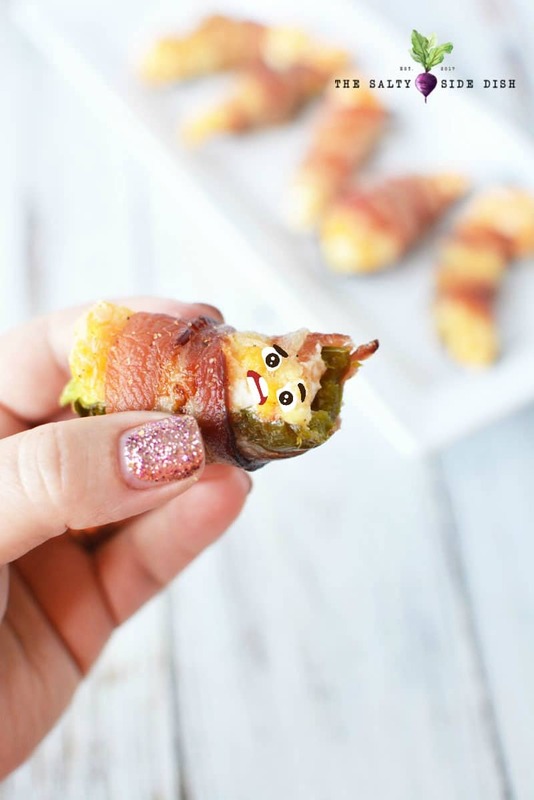 Also try these perfect cocktail meatballs and these mini pigs in a blanket to round out your appetizer tray! Tip: I always wear gloves when handling this many hot peppers! Get Kitchen Gloves Here. Dietary: Heads up! 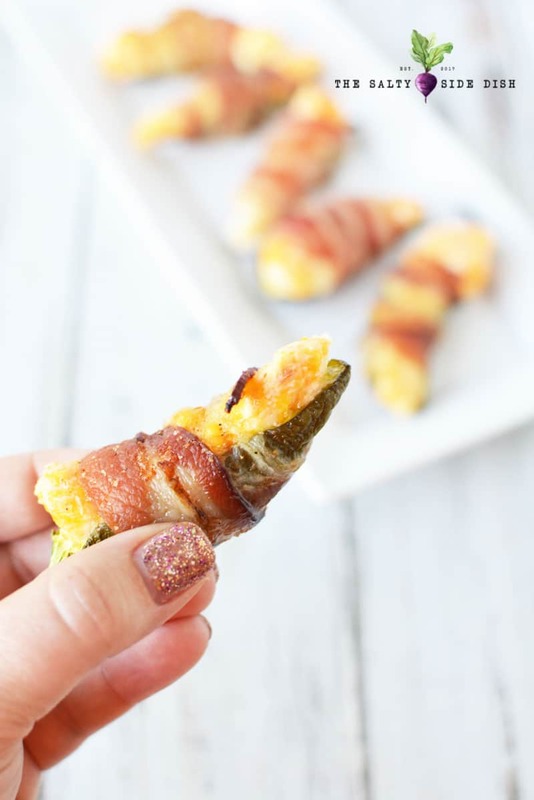 This recipe is Gluten Free, Keto Friendly and Low Carb! Remember by pinning my KETO/LOW CARB pin . Disclaimer: Dietary information provided by Carb Manager. If you are on a KETO or Low Carb diet, always make sure to double check your own information with this or My Fitness Pal based on the brands and weights you use. I am not responsible for the calculations but do try to provide as much information as possible for readers to make informed decisions. Preheat oven to 400 and grease a baking sheet with nonstick cooking spray. 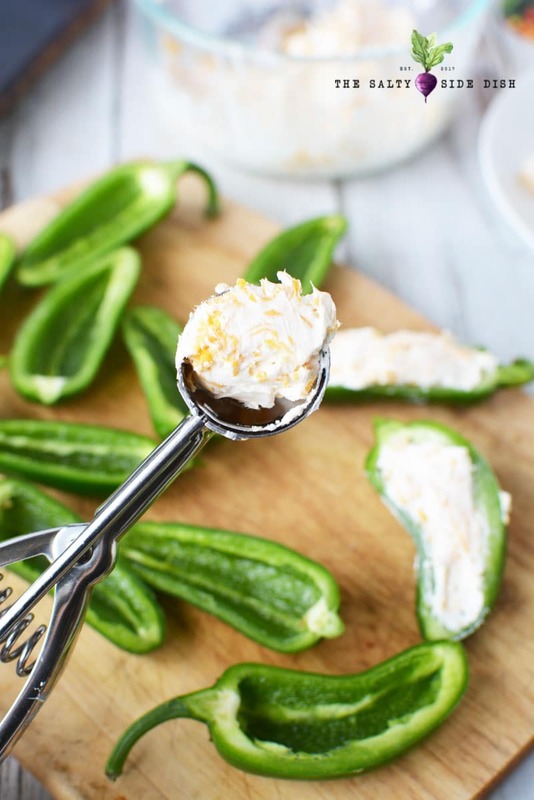 Slice each jalapeno pepper in half lengthwise and scoop out the seeds and discard. The seeds is where Jalapenos keep the spice, so when you remove those, you are left with a shell that almost anyone can enjoy. 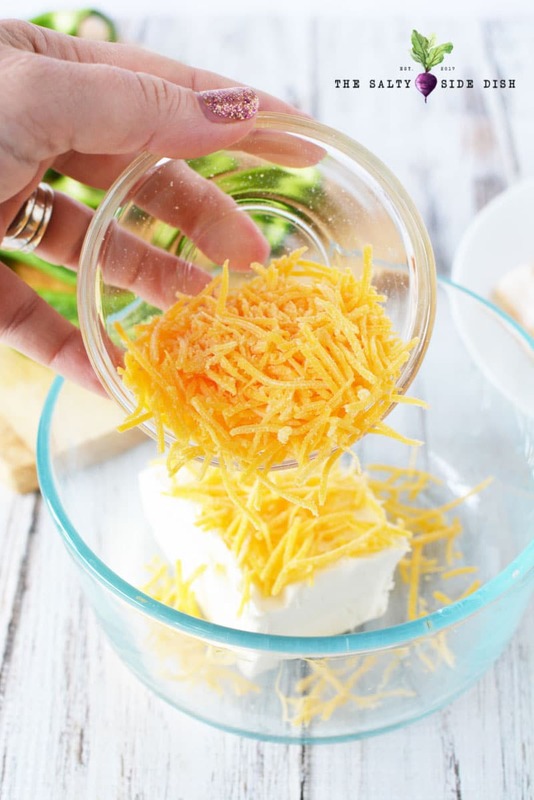 In a small bowl, mix cream cheese and cheddar cheese. 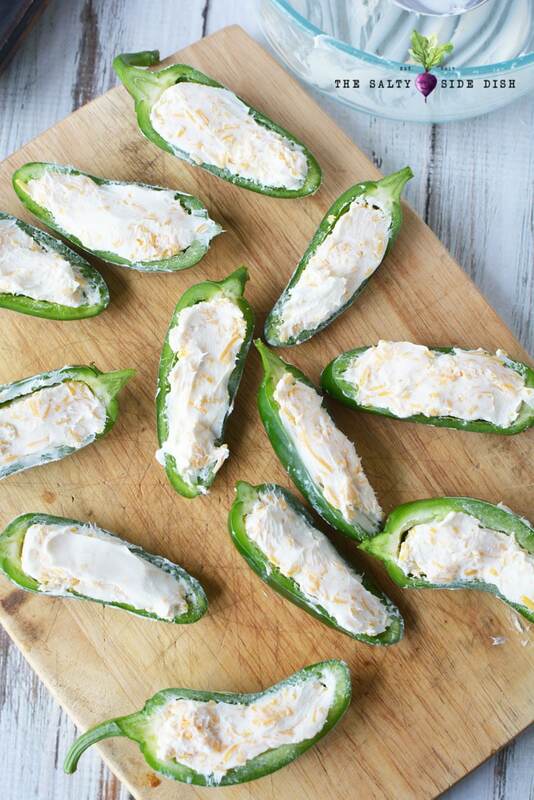 Use a tablespoon scoop to scoop cheese into each pepper half, pressing in into the shell. 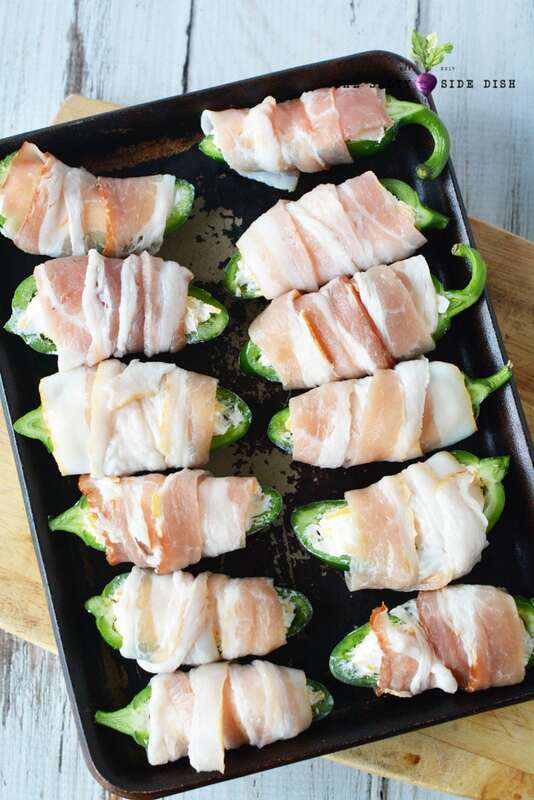 Wrap one half slice of bacon around each pepper and place onto the baking sheet. Bake for 15-18 minutes or until bacon is done. If desired, broil for 2-3 minutes to crisp the bacon. 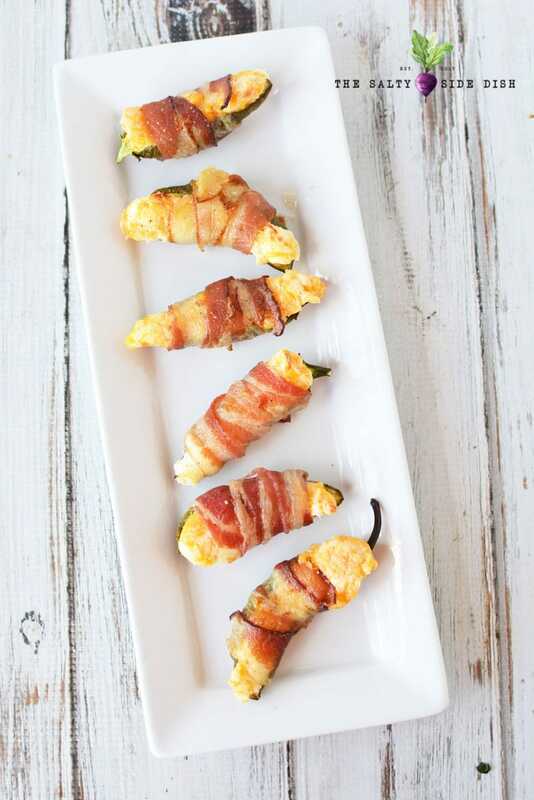 Bacon Wrapped Stuffed Jalapenos with cream cheese, cheddar and crispy bacon is the appetizer everyone is going back for. 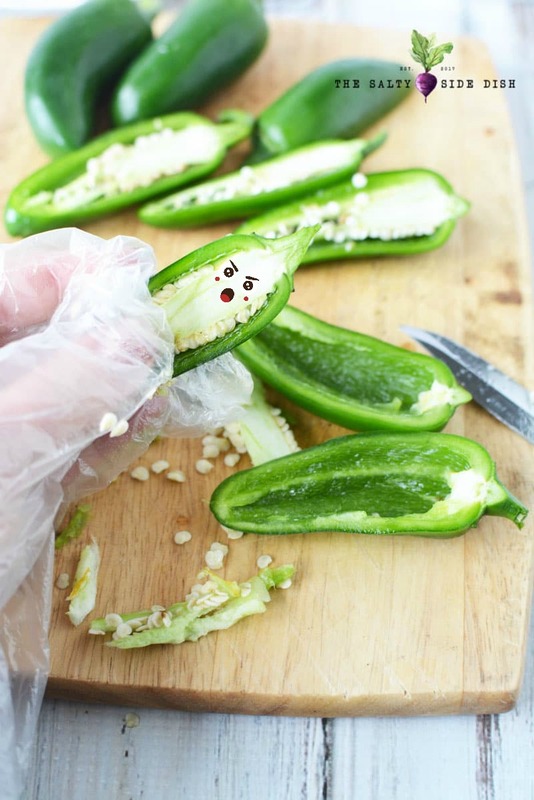 Slice each jalapeno pepper in half lengthwise and scoop out the seeds and discard.